Also known as the queen of pinterest with over 4.2 million followers, Jantine has seen quite some bathroom designs. Understandably we were more than happy to provide her with some pieces out of our collection. 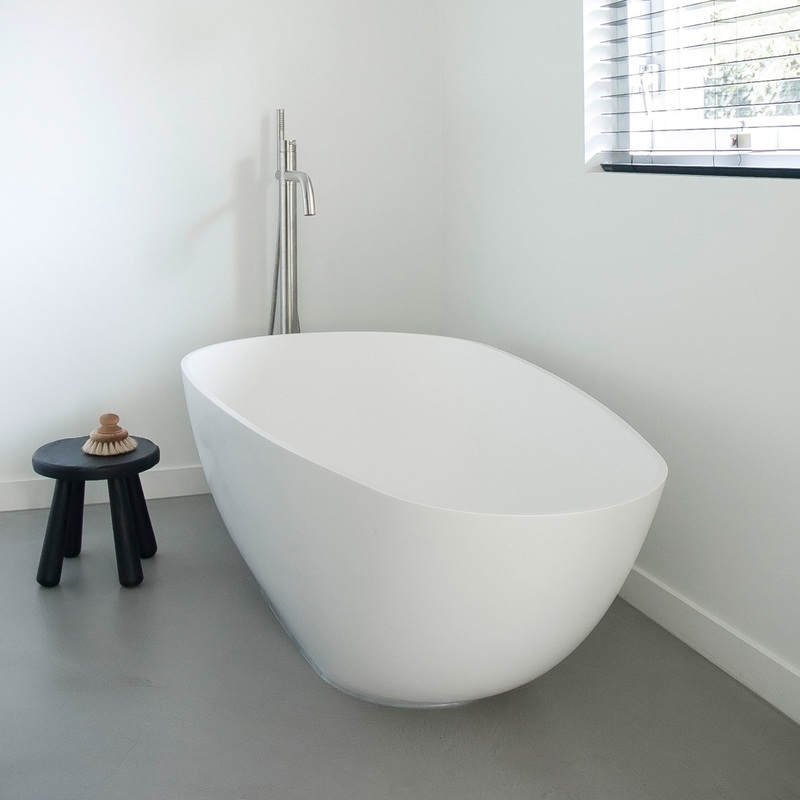 She chose for an open bathroom space in the bedroom with our freestanding Ark bathtub. She wanted a clean and bright space that really blended into the bedroom. 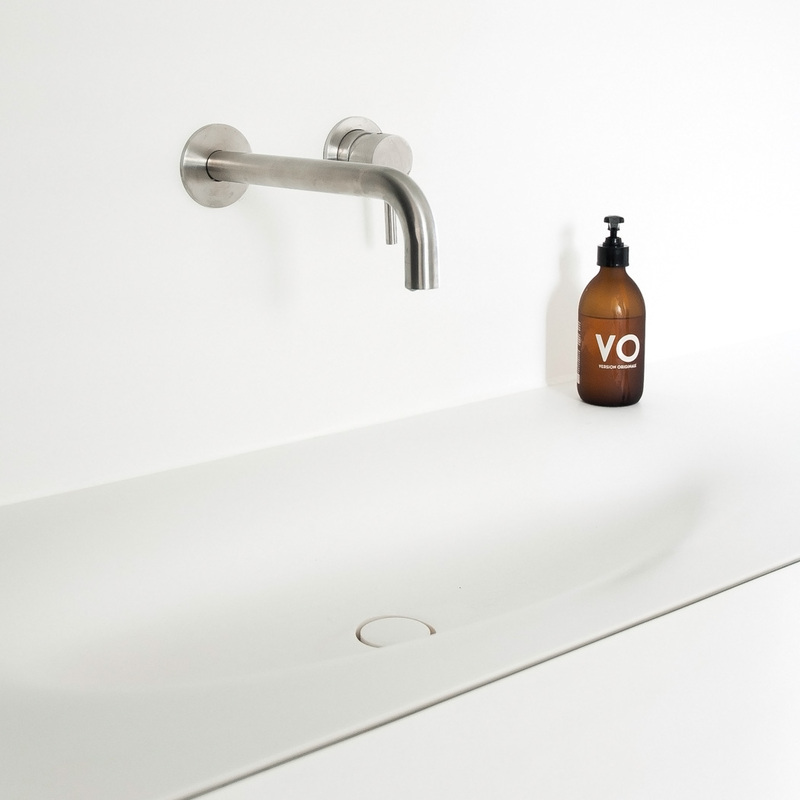 The Timeless washbasins were hand made to the clients dimensions. 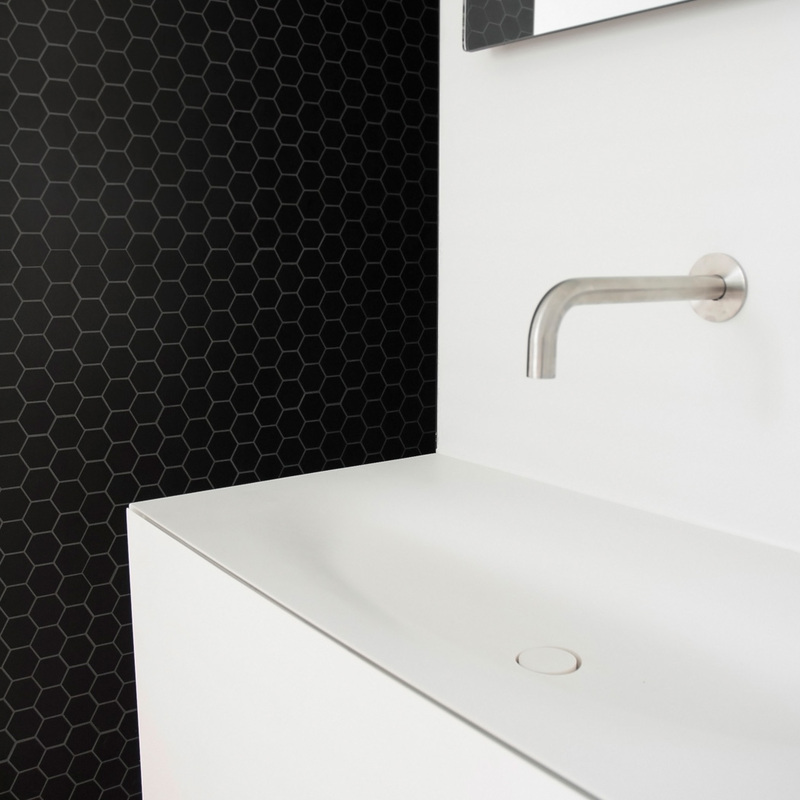 The shower area is finished with black hexagon tiles making the white HI-MACS stand out even more. 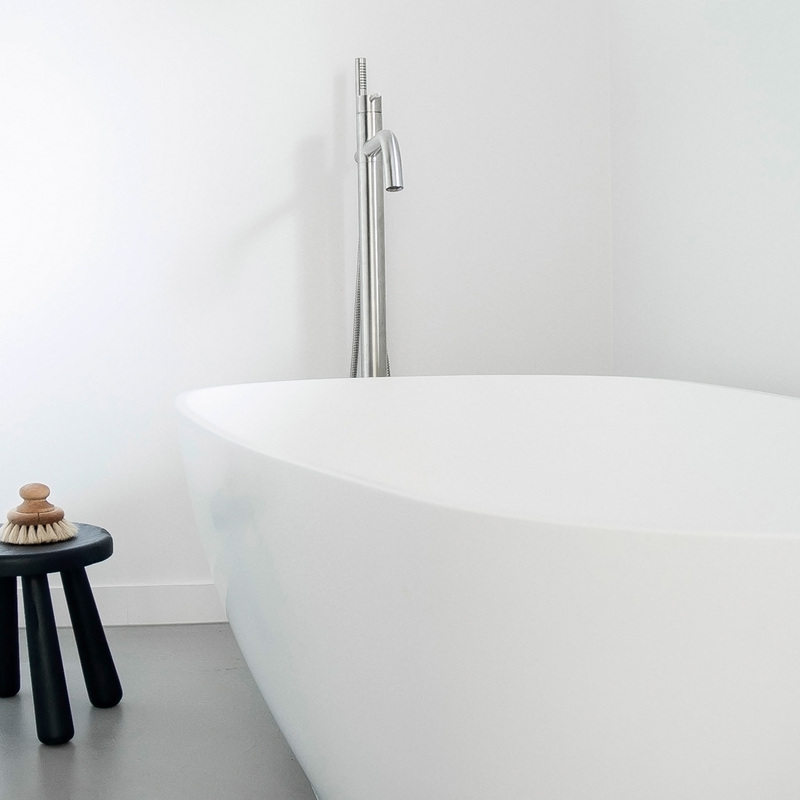 "Baths by Clay has a great collection of clean and minimalistic baths and basins." 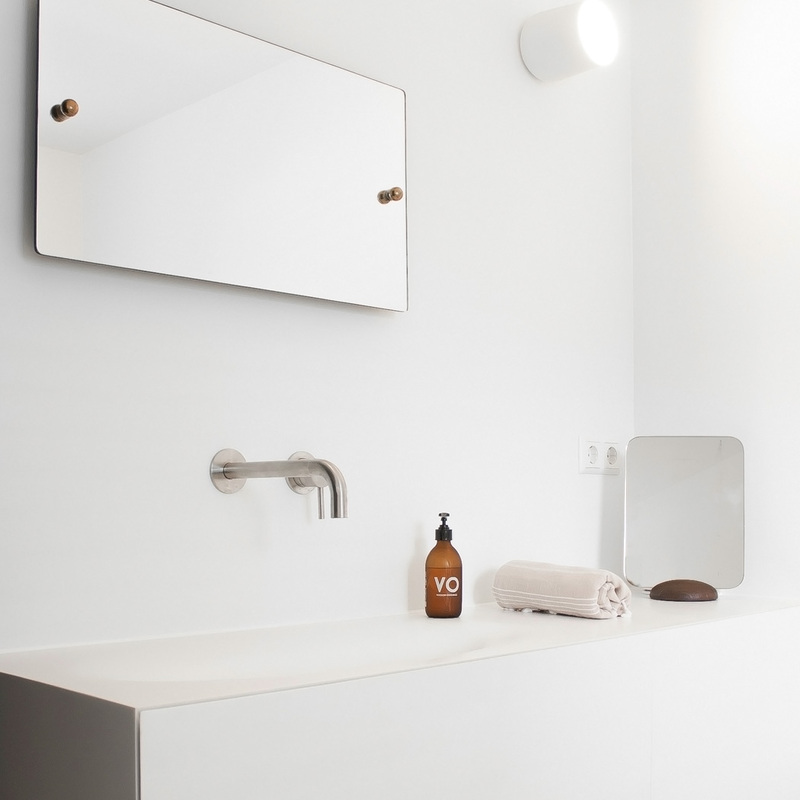 "Every product can be made to measure to fit your personal taste and bathroom space. Taking a bath has never been so good :)"